Winning Smiles Orthodontics is proud to introduce Dr. Derek Brown, one of the nation’s top orthodontists. He loves working with Winning Smiles and has called Maryland home for many years; however, Dr. Brown was actually born in Manhattan and raised in Queens. Dr. Brown obtained his Bachelor’s degree from the University of Virginia, where he majored in both History Psychology while concentrating in Pre-Medical Sciences. He then attended the University of Maryland School of Dentistry where he obtained his Post-Doctorate Degree in Orthodontics and Dentofacial Orthopedics, while simultaneously achieving a Post-Doctorate Masters of Science Degree (M.S.) in Biological Science. Dr. Brown founded Winning Smiles Orthodontics in 1997 in Mitchellville, Maryland, ultimately expanding the practice to Hyattsville, Maryland in 1998. The Mitchellville, Maryland office was relocated to Bowie, Maryland in October 2000. Dr. Brown continuously strives to give his best to the practice while expanding his own dental knowledge. Although the State of Maryland requires only 25 hours of continuing education courses every two years to renew a dental license, Dr. Brown generally completes between 50 70 hours of continuing education credits each year. Outside of the practice, Dr. Brown is very active in the Maryland dental community. In 1999, Dr. Brown was appointed Clinical Assistant Professor of Orthodontics at the University of Maryland School of Dentistry, becoming the only Orthodontist in Prince George’s County to hold a position on the prestigious University of Maryland Department of Orthodontics staff. 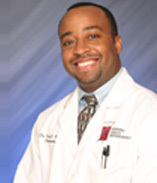 Dr. Brown also teaches at the University of Maryland and for various dental societies in the State of Maryland. In 2002, Dr. Brown was honored to become a distinguished alumnus of the esteemed and world-renowned L.D. Pankey Institute by attending a weeklong continuing education course on Quality Comprehensive Dentistry. Dr. Brown remains the only orthodontist in Prince George’s County to achieve this distinction. In 2004, Dr. Brown continued his quest for distinguishing himself as one of the top orthodontists in the country by attending and successfully completing the rigorous Dawson Center for Advanced Dental Study. Dr. Brown has served on the executive board of the National Dental Association’s Robert T. Freeman Dental Society for three years, and served as the Editor-In-Chief of the RTF Dental Society Newsletter for three years. He also holds active memberships in the American Dental Association, Maryland Society of Orthodontists, American Association of Orthodontists, and Kappa Alpha Psi Fraternity Inc.
Dr. Brown has been happily married to his beautiful wife Chimene (also a native New Yorker), since 1996. They have three wonderful children (Maya Ariel, Derek “DJ” Justin, and Trent Daven). In his free time, Dr. Brown enjoys landscaping, working out, playing racquetball and coaching his sons’ little league teams.